There is a link between diabetes and cancer, though most people are unaware of it, and how it occurs will surprise you. Cancer is the result of uncontrolled growth of cells compared to normal tissue cells. The cause of this uncontrolled growth are gene mutations inside a cell, as well as factors outside cells, which determine the start and growth of a cancer. Cancer cells do not damage the body by releasing a toxin or directly attacking neighboring cells. They simply “out compete” normal cells for cellular nutrition by creating new blood pathways to get nutrients, thus depriving normal cells of needed nutrients, which leads to organ malfunction, endangering life itself. 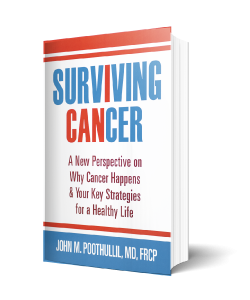 Cancer cells effectively establish themselves when they overwhelm the surveillance mechanisms. Unfortunately, the presence of our natural biological agents such as growth hormone, insulin and estrogen can stimulate the growth of new cells, causing even faster multiplication and establishment of cancer. In addition, cancer cells can produce molecules that suppress the immune system so that they automatically produce and respond to their own signals for growth—as if your body’s natural systems have gone haywire. differentiated tissue cells such as skin, organs, nerve, muscle, etc. Cancer cells multiply in response to signals that are specific for each cell type, just as any normal cell does. (If this weren’t the case, all cells in your body would multiply when a signal is sent, although a specific organ or tissue is calling for only one type of cell to duplicate.) 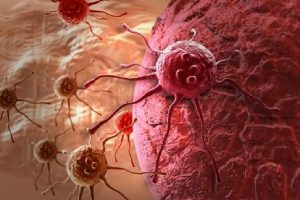 The difference between normal and cancer cells, however, is that some cancer cells may exhibit a tendency to multiply faster due to the changes that happen in newly created genes. As it turns out, most cancers arise from mutations in the stem cells present in any of your specialized tissues. Most often, the triggers that cause their genetic mutations are radiation, chemical, virus, or a random accident. Each cell division that happens in any organ or tissue in the body is a time for a possible inadvertent mutation to happen. As we get older we are more likely to have experienced repeated cell death and regeneration due a multitude of infections and damage from physical abrasions. A chronic infection or repeated damage to cells results in repeated cycles of cell death and regeneration—an ideal set up for mutations to accumulate to the point that new cells acquire the ability to start multiplication own their own. This is why 90 percent of cancers arise in cells that line the organs and cavities of the body and in cells covering the body where infections and abrasions frequently occur. This also is why 77 percent of cancer is diagnosed in people 55 and older. Men are more likely than women to develop some cancers perhaps due to alcohol consumption and smoking. So what exactly is the link between cancer and diabetes? It’s glucose and insulin. In order to multiply in response to a growth signal, a cell needs fuel to produce the necessary energy and raw materials to fabricate a new cell capable of repeating the same process. Since the preferred fuel to produce prodigious amounts of energy needed for cell multiplication is glucose, an abundance of glucose outside cancer cells favors cancer growth. But even with the genetic change and availability of glucose, cancer cell still needs a stimulus for continuing the process of multiplication and overcoming the surveillance of the immune system. In diabetics, as in any other person, insulin is a well-defined promoter of cell growth. Insulin helps transport not only glucose into cells but also amino acids needed for the synthesis of proteins inside cells. Thus, insulin and insulin-like growth factors help cells construct new molecules from smaller units to promote growth by building new cells. Understanding insulin and its functioning is revealing to see the link between diabetes and cancer. As you probably know, insulin is a hormone released by the pancreas to regulate the uptake and utilization of glucose primarily by muscle cells, and also the production of glucose in the liver. The natural release of insulin in the body happens in two ways. The first is the slow sustained release of “basal” insulin, independent of blood sugar levels, oscillating up to eight fold every 3 to 6 minutes. The second are bursts of extra insulin, triggered in response to increased blood sugar levels after eating. Because medical science believes diabetes is caused by insulin “resistance,” most treatments for diabetes begin with medications to spur the pancreas to produce more insulin. Over time, many diabetics with advanced cases of diabetes end up shooting insulin directly into their body. Ideally, all medications should attempt to match the natural oscillation of basal insulin as well as the bursts happening after meals. Unfortunately, medications designed to cause natural insulin to be released, and insulin injections, both short acting and long acting, cannot do this. The upshot of this is, as you can imagine, that many diabetics walk around with a continuously high level of insulin, combined with a high level of glucose in their body. This combination provides a fertile ground for accelerated cell regeneration. As stated above, you have glucose as fuel for cells to multiply rapidly, and insulin as a stimulus for multiplication. This then sets up the perfect opportunity for mutations to occur, leading to the potential for cancer formation. In my view, it is thus not surprising that people with type 2 diabetes are twice as likely to develop liver, pancreatic and endometrial cancer as those without diabetes. Diabetics also have a greater chance of developing colorectal, breast and bladder cancer compared to those without the disease. In order to reduce your risk for cancer if you are diabetic, begin reducing your blood sugar levels, both between meals (called the fasting level) and after meals. A lower blood sugar level will lead to lower insulin level as well. The best way to accomplish this is to minimize your intake of grains and grain-based foods. My theory proposes that grains are the key cause of high blood sugar, not because of insulin resistance, but because grains fill your fat cells, causing your body (especially muscle cells) to switch to burning fatty acids rather than glucose. This leaves glucose in the blood stream, which can act as a fuel for other cells to multiply. Humans do not need grains; as a species, we survived for thousands of years before starting grain cultivation, milling and refining grains to produce grain flour. Substitute lentils in place of grain and grain products, as they can help you moderate the rise in blood sugar as well as insulin release after meals. Eat only when you are hungry, eat only what can be chewed and, take time to chew so that you can enjoy what you eat to the full extend without needing to fill your stomach during a meal. Reduce consumption of processed meats that may contain chemicals that can induce gene mutations. Also, I suggest moderate intensity physical activity in an attempt to use glucose as fuel for muscles so that less is available for cancer cells. Avoid exposure to natural as well as man-made sources of radiation. Stop smoking to lower your exposure to cancer causing chemicals. Reduce alcohol consumption. Make the changes gradually so that you can live a cancer free life by adhering to these lifestyle changes. PreviousPrevious post:Spicy And Delicious Recipe for Keeping WarmNextNext post:Why Should I Lose Weight? One Big Reason—Cancer!